Get into shape with our DOT drill mats. 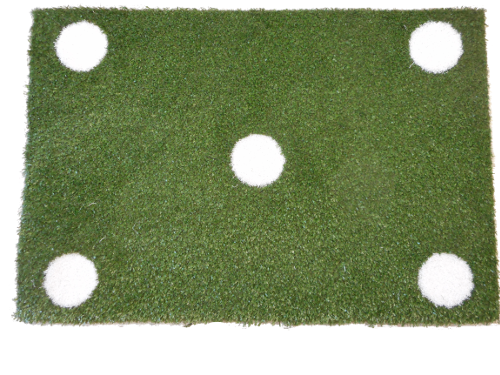 Custom Turf Outlet’s mats are a portable footwork training tool designed to enhance quickness and agility. The mat contains 5 dots that can be utilized in a variety of training patterns. The thickness of the mat provides a stable and secure surface that helps to reduce the force of impact for the athlete. The DOT drill mats can be used in a varied of ways. Its uses can be as broad as your imagination. For best results, use drills that are specific to your particular sport and position. Position multiple mats side by side and have the athletes compete against each other. The competition will bring out an increased effort and better results.